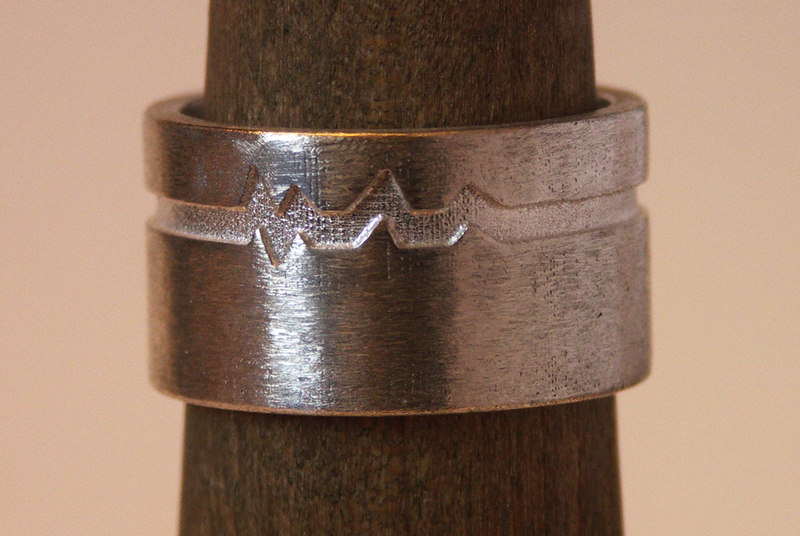 Another custom piece finished a couple of months ago. 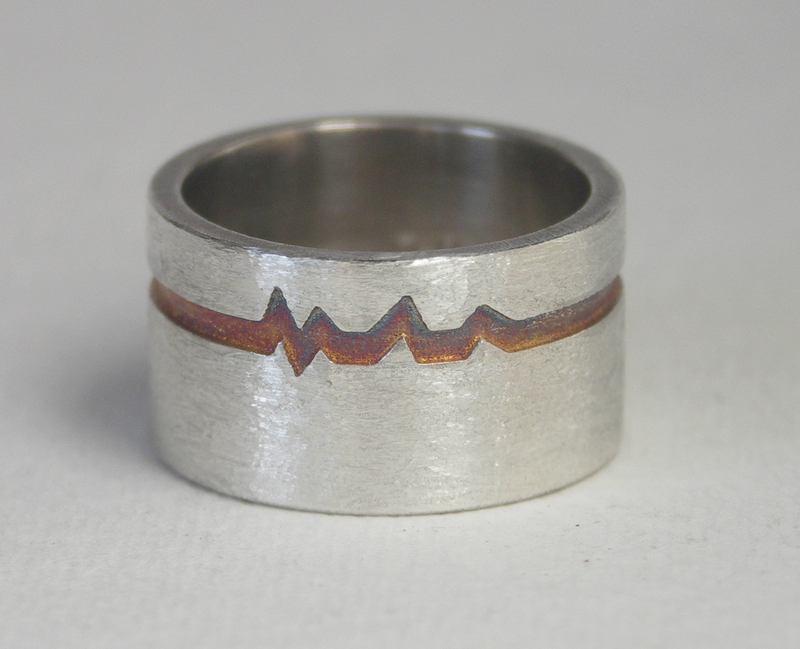 This one was a request to have a heartbeat waveform wrapped around the ring. 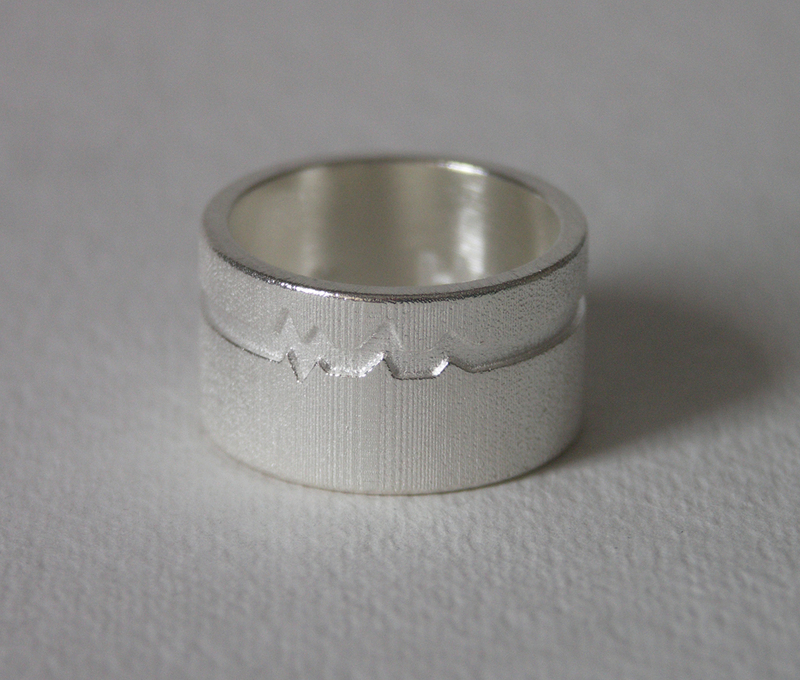 Interior design of the sterling silver ring was then oxidised to create contrast, and exterior given a brushed metal finish.